Docking at the popular holiday resort of Antalya, you will meet your private guide welcoming you with a sign bearing the name of your party. Founded by the King of Pergamon, Attalos II as an important port controlling the southern borders of his kingdom, Antalya has maintained its value throughout the history. 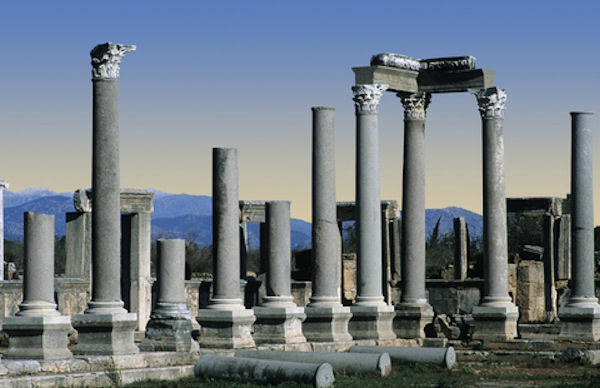 The city has been home to numerous civilizations including the Romans, Seljuks and finally the Ottomans. Your guide will firstly lead you through the ancient Roman city of Perge, known for its well preserved stadium, massive Roman Baths and stunning gate of the city dating back to Hellenistic period. Perge is a Biblical settlement that was visited by St.Paul during his apostolic journeys before he kept walking further north. You will continue with a visit to the Archaeological Museum of Antalya, where works of art unearthed from Perge are on display. Having gone through an extensive renovation, the Antalya Archaeological Museum will impress you with its wide collection of examples of Roman sculptures among which there is a Roman relief returned by Getty Museum after getting smuggled from out of Turkey. Your guide will take you to the pier at the end of your sightseeing as you will have the rest of the day at leisure to explore the town on your own. Please be sure to wear comfortable walking shoes and don't forget your camera. Please note lunch is not included.